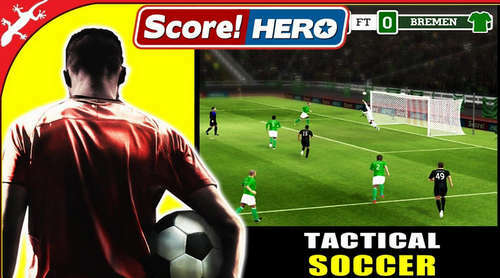 The game is all about short-stop ball-kicking and if you've played any other game by the same dev like Dream League Soccer then you should get Score! Hero Mod Apk for the complete experience. What you'll be doing in this game is control and manage the career of a footballer. You can customize your player before choosing teams to play for, then you keep changing teams, trying to get him on the national spots, and doing a lot of kicking and soccer related action. Players earn cash as they progress through the different levels and win challenges. Cash is used to customise your hero with new haircuts, beards, and other accessories. And as this mod features unlimited money and energy you'll be doing a lot of that. This game is basically a puzzle which requires deep thinking and measuring before swiping the screen to pass the ball or kick and shoot.. Watch the video below!